Can Linden redefine 'Canucks luck' at NHL Draft Lottery this time? If you’ve been a fan of the team for any length of time, you’re well aware of that term. It’s not a positive one. In the 47-year history of the franchise, the Canucks have been stricken with misfortune a few times. They haven’t been a lucky franchise. During their best-ever season in 2011, they drew the defending Stanley Cup Champion Chicago Blackhawks in the first round of the playoffs. The next year, their second most successful in franchise history, their best player was injured and they played the eventual Cup winners. Canucks luck began before they ever played a single game in the league. 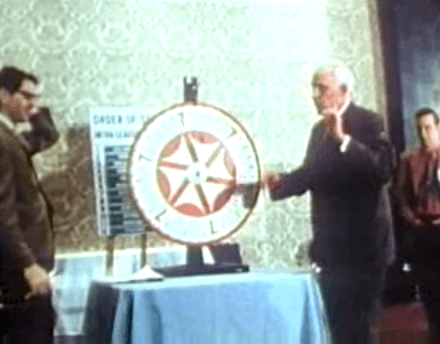 Entering with their expansion cousins from Buffalo, they lost a spin of the wheel to determine first pick in the 1970 NHL Draft. Gilbert Perreault was picked first. He’s currently 33rd in all-time league scoring and was inducted into the Hockey Hall of Fame. Second pick went to Vancouver, who picked Dale Tallon. Tallon was… Well, he was not Perreault. Since then, the Canucks have accumulated the second-fewest points of all teams that have remained in existence since 1970. The only team they rank ahead of is Toronto, who are likely going to pass Vancouver in the not too distant future. The Canucks of course dropped out of the top-three picks at last year’s draft lottery, moving down two spots to fifth. In any other year, they would have picked at least fourth. 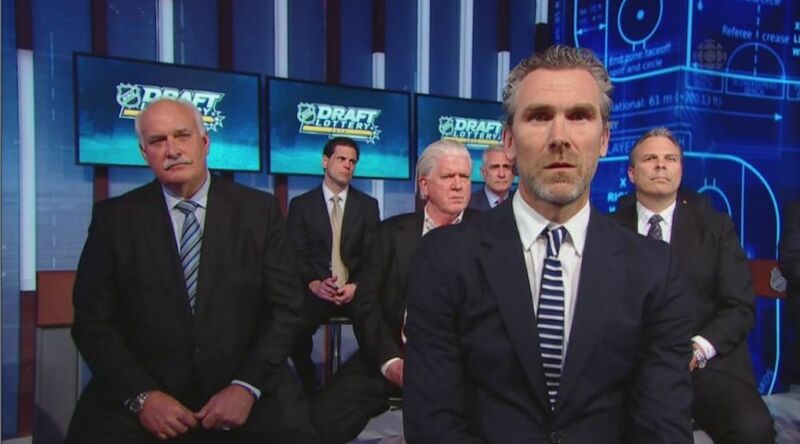 Remember the look on Trevor Linden’s face? The year previous, with the same odds as Vancouver, Edmonton got Connor McDavid. The 2017 NHL Draft Lottery, which will determine the order of selection for the first 15 picks in the first round, will be held Saturday in Toronto. The results of the lottery will be announced after 5 pm PT, with the live television show beginning at 4:30 on Sportsnet prior to the Penguins-Capitals game. The NHL Draft Lottery is in fact three lotteries rolled into one, a format that began last year. The first ping pong ball draw will determine first overall, while the next two decide second and third pick. The remainder of the picks for non-playoff teams (#4-15) will be decided based on reverse order of the NHL standings. Appropriately enough, a game of chance is the first big event for the Vegas Golden Knights expansion franchise. They’ll get the same odds for the top pick as Arizona, who finished third-last. The Canucks, meanwhile, have the second-best odds to win the first overall pick (12.1%). It’s the best chance they’ve ever had in a draft lottery. But don’t hold your breath. Why? Linden will once again represent the Canucks in Toronto, but he won’t be bringing a lucky charm like he did last year. Maybe he’ll say a prayer in advance instead? With a 35.2% chance at a top-three pick, odds are that Vancouver will be moving down in the draft order again. Fifth is as low as the Canucks can drop though, meaning they’ll get a pretty good pick either way. But in this year, the big prize is in the 1-2 position. Nolan Patrick and Nico Hischier are the odds-on favourites to be picked at the top of the draft, in what TSN’s Bob McKenzie is calling the closest race since Taylor Hall and Tyler Seguin in 2010. While neither player has the potential of McDavid or Auston Matthews, they do have first line centre potential. And with the Sedins getting up in age and about to enter the final year of their contract, a top centre would be exactly what the doctor ordered.